"I was having lunch with Dexter DeWitt. This in itself was a questionable activity on my part." So begins Code Green, by Greg Jenkins, whose anti-hero Chip Stone engages in quite a few questionable activities. Stone is a male nurse who works in a psychiatric hospital and has almost as many behavioral issues as the residents he cares for. Those residents include DeWitt, a one-time cultural critic gone bonkers; Tim Valentine, who snacks on light bulbs; Philip Nolan, who contends (correctly) that he's actually a character in a novel; and Glinda Moon, an anorexic witch. As the violence at his workplace intensifies, the confused Stone lights out on a desperate but comical odyssey to find his estranged wife—and himself. His wanderings take him through the netherworld of western Maryland, where he meets old friends, new enemies and one highly unusual sister-in-law. In the end, he discovers that the line between the sane and the not-so-sane is more gossamer than even he had suspected. 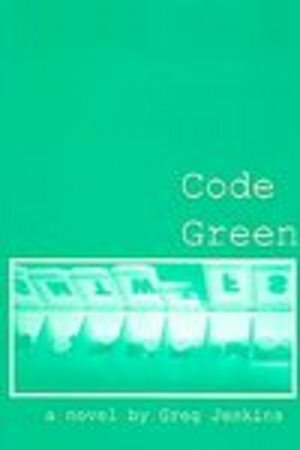 With its over-the-top characters and gaudy, entertaining prose, Code Green offers a bumptious blend of humor and pathos well-suited to the uncertainties of a new millennium.